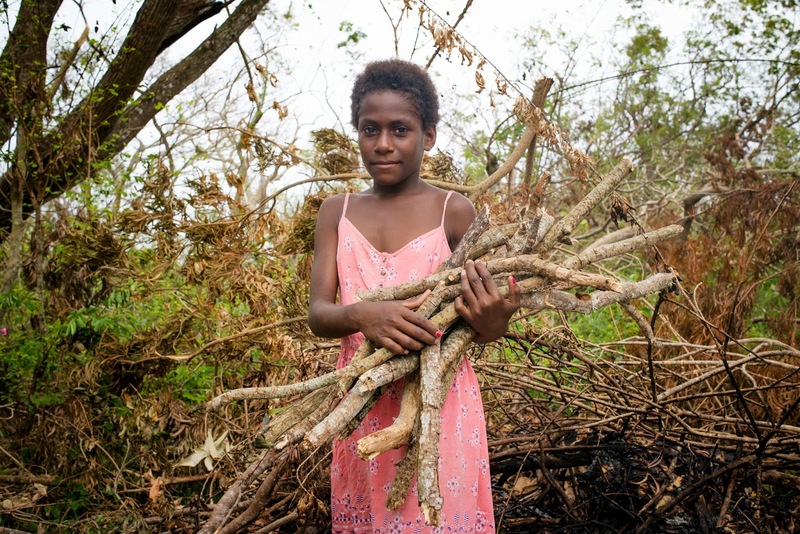 Pacific Island Countries: Cyclone Pam interrupts lives and creates a heavy load for girls. Cyclone Pam interrupts lives and creates a heavy load for girls. Nellie is dwarfed by the pile of tree branches she is dutifully carrying as part of community clean-up efforts on Ifira Island, one of more than 22 islands in the Vanuatu archipelago badly damaged by Category 5 Tropical Cyclone Pam. Her smile is fleeting; while she and everyone else on the small island of less than a thousand people is pulling together she would rather be at school on her home island of Malekula. She and her father were visiting her aunt on the small island at the mouth of Port Vila bay when the cyclone hit, leaving them unable to return home after the storm halted all inter-island travel. Nellie is happy to help with the cleanup but she should be in school. Her father doesn't know when they will be able to go back to their island; shipping schedules have been disrupted for weeks to allow prioritisation of emergency aid shipments. Her mother died when she was a small girl, so she is sticking close to her aunt at a time of extreme stress for everyone. In the face of a colossal clean up task children like Nellie are doing their best to help their families, but they should be laughing and playing with friends and learning new things at school. It may be some time before life for her and the more than 82,000 other children affected by Cyclone Pam returns to normal. 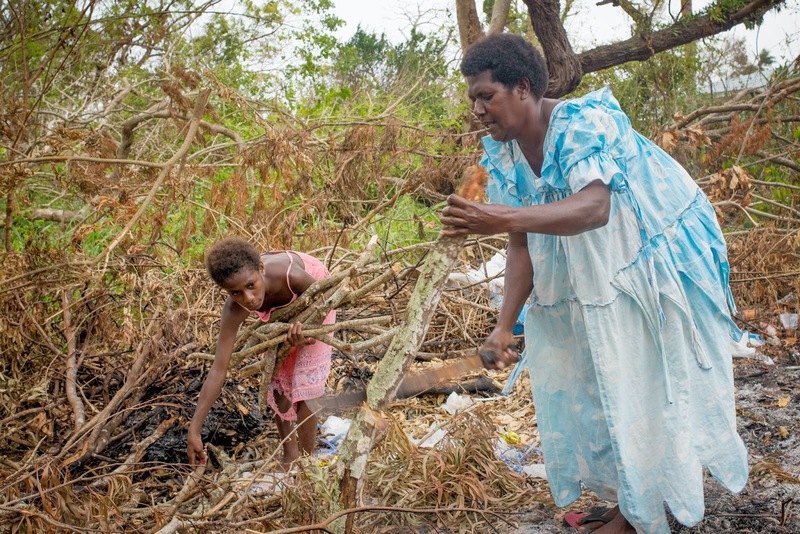 Nellie and her aunt clean up after Category 5 Tropical Cyclone Pam caused unimaginable destruction across Vanuatu.